Our dear friend Mary Alice Pollard asked us to write a song to highlight the plight of Whales and Dolphins at risk from mankind's brutality, selfishness and greed. 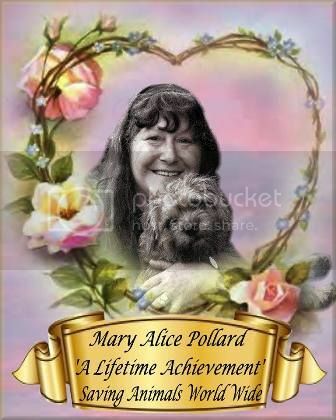 Mary Alice has dedicated her life to the protection of animals world wide. We could not refuse her wish to have a song written especially for her to gift to the world. And unite us all to bring caring hearts and hands of hope to the cause. We wish you a wonderful birthday Mary. You are an inspiration to those who are helping to save the defenceless. The guardians of the waves. 'I want to introduce you to a man who is a hero of mine. The man who first introduced to me the plight of whales and dolphins in the cove, he is Dexter Kate. Our Cove Guardians are earth angels, Dexter is an angel in spirit and I know he remains here on earth guiding our earth angels in exposing to the world the horrors taking place in Taiji's Cove. One must remember that back in those days, there was no internet, no social media and to bring attention to these issues, one had to go to what some may think were extreme measures to expose these issues to the world. It worked. 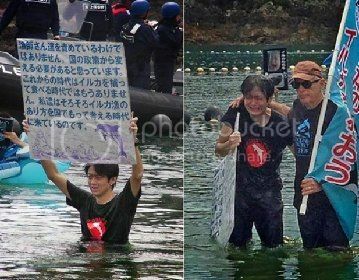 After Dexter's arrest the Taiji dolphin slaughter went global and after he was finally released from prison and home, he toured the USA speaking about his experiences and showed film and photos of the dolphin drives. He opened the eyes of thousands of people around the world - including mine.